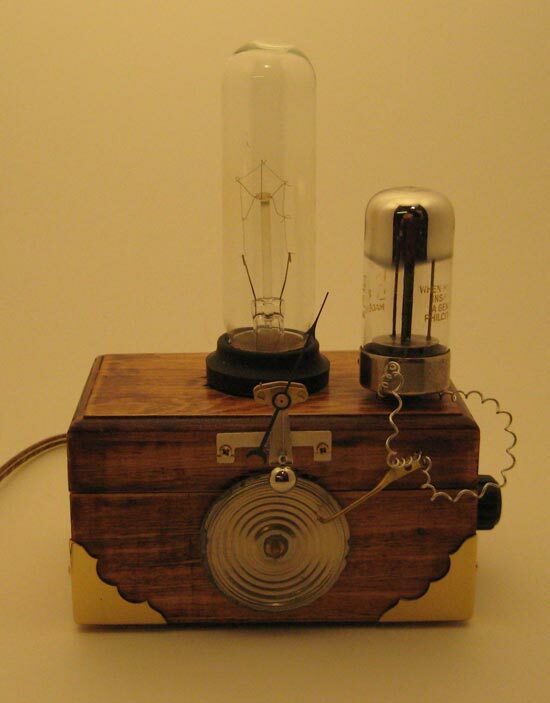 Check out these funky looking homemade Steampunk lamps, made from a combination of new, recycled and found objects. 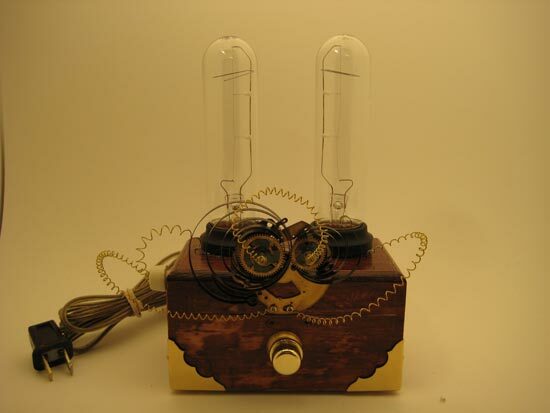 These stunning looking Steampunk lamps are the work of Etsy seller Curious Inventions, and some of the parts used to make these cool lamps include an antique radio tube, parts from various barometers, and some parts from various antique radios. 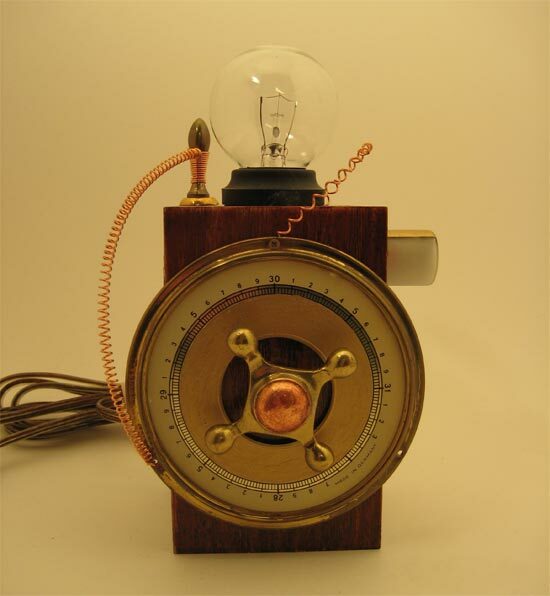 The first one (picture 1)has to be my favourite, it features an LED light on the side which is housed in frosted glass, and featured an antique faucet valve combined with a barometer scale. Each of these cool Steampunk lamps are available from the Curious Inventions Shop over at Etsy for $90 each.